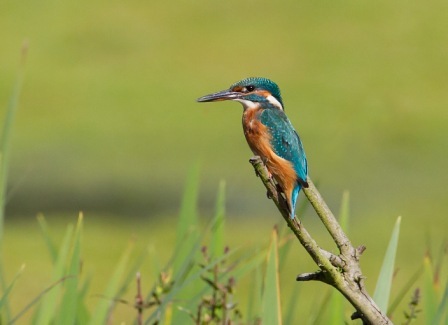 On the second Sunday of each month, we run bird walks led by an expert LWT birder. All are welcome. Routes vary depending on the time of year and last up to three hours. Although the paths are mostly flat, at times they can be very muddy so stout footwear (or wellies) is advised. We meet at 9am in the car park on Sandford Lane (opposite the Dinton Activity Centre entrance) and ask for a donation of £1 with no charge for children. Car park charges apply. On the fourth Sunday of each month we hold work parties which are essential to manage the diverse habitats to be found here. Various conservation tasks are carried out which differ depending on the time of year. 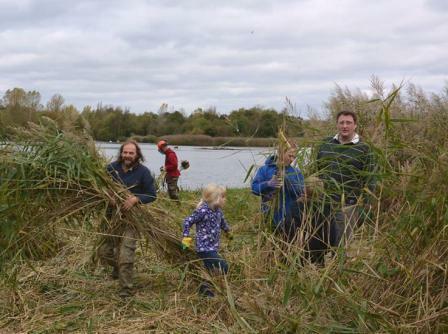 These include coppicing and removing willow, maintaining our tern rafts on the lakes, removing invasive Himalayan Balsam, managing our reed beds and fencing. We meet at 10am in the car park on Sandford Lane (opposite the Dinton Activity Centre entrance) and work for three hours with a break for tea, coffee and a chat. We work whatever the weather and old clothing and sturdy boots or wellies are recommended. LWT provides work gloves and all necessary tools. No car parking fees apply for those taking part. LWT celebrates International Dawn Chorus Day with a walk in mid-April. Starting very early in the morning this is an experience that you will cherish for a long time. LWT’s committee meets every two months. Although the meetings are for the elected committee only, members are welcome to raise issues by emailing the secretary. All members are invited to LWT’s Annual General Meeting. The date is 18th June 2019. The location is to be confirmed. A short business meeting will be followed by refreshments and an entertaining and informative talk.